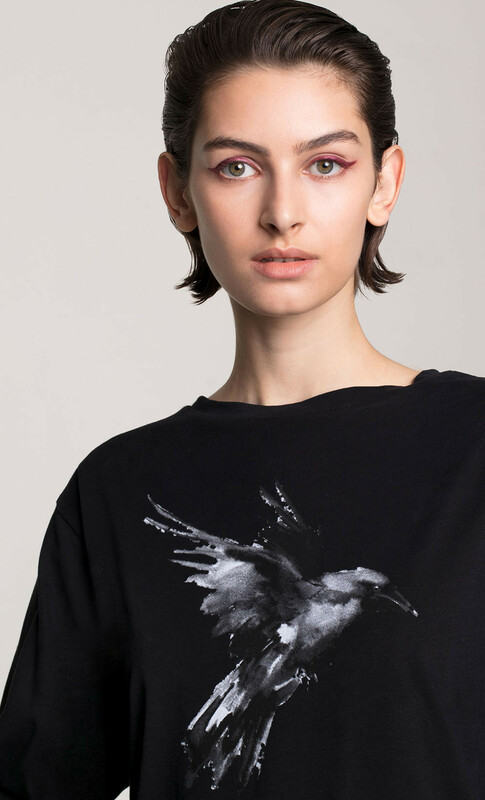 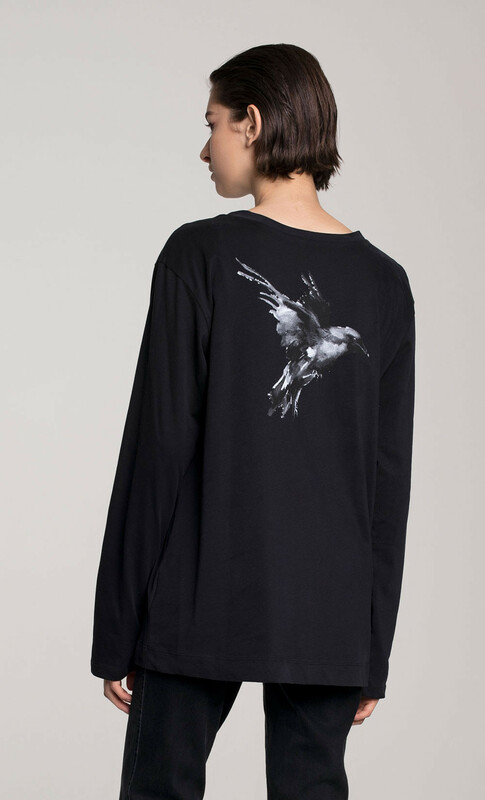 As part of DORIN FRANKFURT “RAVEN’S CALL” collection, this versatile long-sleeved top features a flying raven silk print. 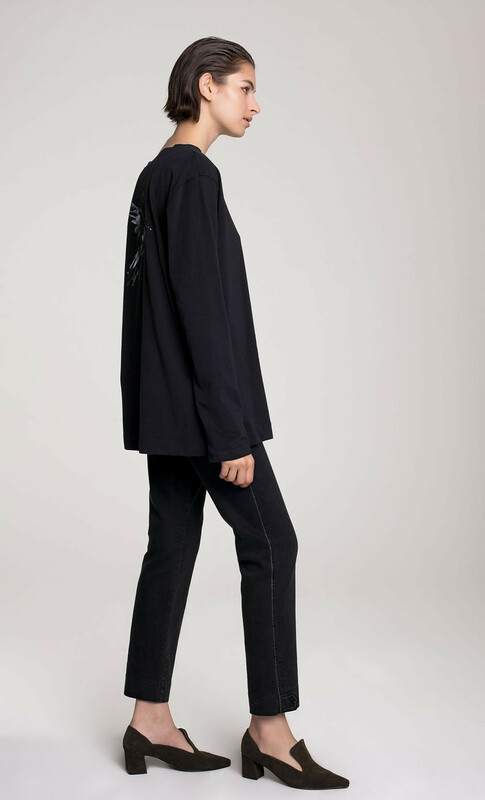 Cut from a soft cotton with slightly dropped shoulders and a loose fit, combine the top with a pair of tailored trousers or jeans for effortless chic. 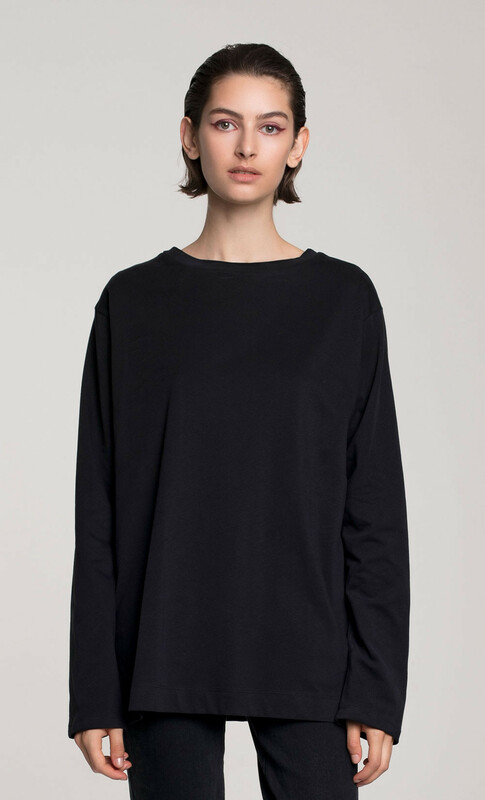 Available in shades of black and cool blue-grey.